Some of today’s classic (and modern-classic) Jaguar models offer spectacular value, with prices starting from just a few hundred pounds – although at that level it’s a case of ‘buyer beware’ in terms of potential problems. So which Jaguars make the best buys now – and which ones are the cheapest? We’ve come up with ten different models from the Jaguar back catalogue that we think offer the finest value, with something here to suit all tastes, requirements and budgets. So which Jaguar would you go for – and why? Don’t forget to tell us in the comments section below. 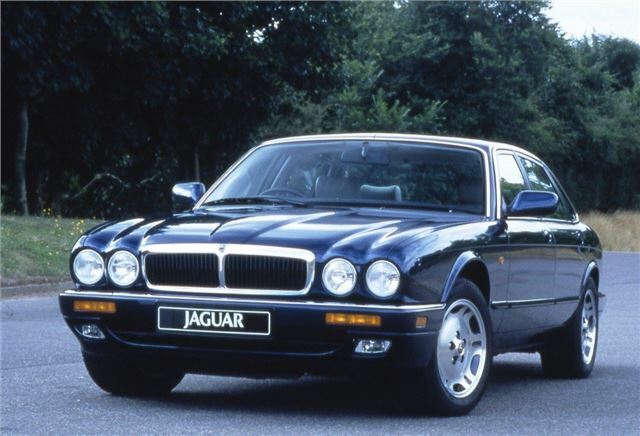 Although based around the previous ‘XJ40’, the new ‘X300’ series of XJ6 was a leap forward in terms of quality, reliability and styling, with a return to a traditional bonnet line that followed the shape of the quad headlamps (reminiscent of the old SIII XJ6). It sold well from 1994 to ’97, which means plenty of survivors – with high-mileage cars available right now from as little as £1000. If you can afford to stretch your budget, £2000-3000 will buy you a nicely looked after example, though you’ll pay twice as much for an immaculate 6.0 V12 or supercharged XJR. And, (From a former jaguar dealer Parts manager) be very careful about electronic items that no longer work... the cost of the airbags on the x350 suspension. and the Tinworm. The article is wrong - the XJ40 was never supercharged (although a couple of experimental cars were knocked up at the factory). The XJR version of the XJR was normally aspirated, I know, I have one! The later X-300 XJR was supercharged. Back in the early 70's my dentist who knew I was a car enthusiast told me he was selling his mint Jaguar Mk2 which had a full service history and was finished in white with red leather upholstery, and if I was interested I could have it for the princely sum of £200. A total bargain needless to say. However the price of petrol had just gone up to £1 per gallon. ( shock, horror, probe) ! Because of this I decided not to buy it. A young man I did not know couldn't believe his luck when he was offered the car for the same amount. Only one week into his ownership he stopped at a halt sign at a cross road but the lorry behind him did not, and pushed the Jaguar out in front of a single decker bus. No radical injuries but a totally wrecked Jaguar !! Still cursing the day I missed out on a lovely old English White XJ5.3C 1978 for a measly five grand.Not that long ago.Shudder to think how much now. Look up HJ CLASSICS, car reviews, Jaguar XJ 2003-2009, you will find a header article that takes care of the suspension airbags issue, hope this helps.